The Harvard Club of Naples cordially invites you to join Harvard, Yale, Princeton, Penn, Dartmouth, Cornell, Columbia, Brown & the Seven Sisters for the 2017 Ivy Fest picnic. 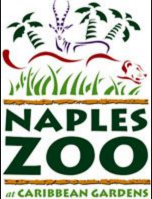 Come and join us at the Naples Zoo for an afternoon of fun with the animals – two legged, four legged and no legged! Tour the property that has been in development for over 95 years and meet the exotic animals up close including Malayan Tigers, South African Lions, Giant Anteaters, Striped Hyenas, Slender-horned Gazelles, Leopards, Coyotes, and Pythons. Take a boat tour and see Ring-Tailed Lemurs, Buff-Cheeked Gibbons, Cotton-topped Tamarin, and Black-handed Spider Monkeys in their natural habitat. Learn how to feed the Giraffes! Enjoy a picnic buffet in the private Rainforest Grove featuring hamburgers, hotdogs, chicken and so much more catered by The Counter - Custom Burgers. And sing along to our own favorite Dixie Land Band! A perfect way to enjoy yourself and catch up with friends from across the Ivy League Schools! Reservations are required. If you register/pay on this website and are bringing a guest, please remember to include the name of your guest on the registration screen.